This is my first male caricature in the style of my pinups! It took me some time to figure it out, but I'm happy with the result. 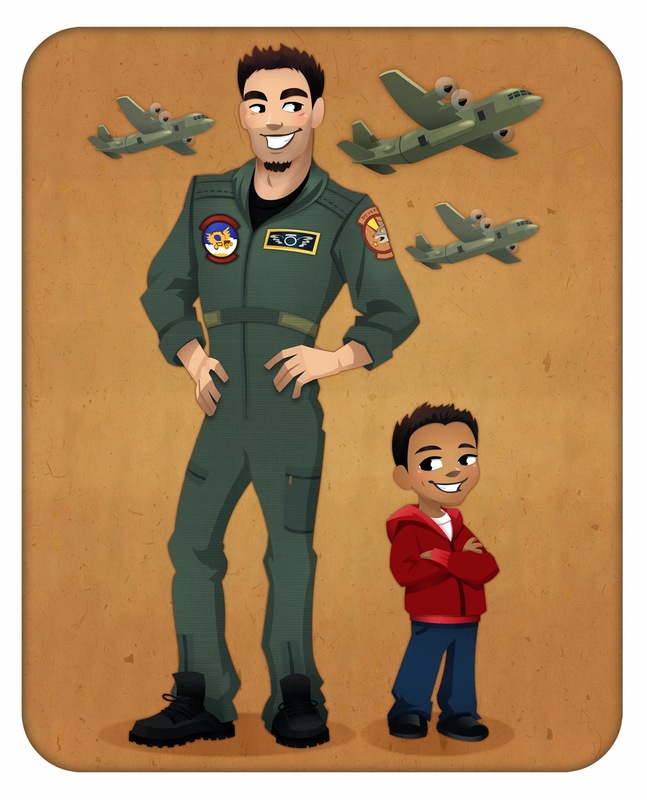 This was for Raine, who commissioned a caricature of her brother, a pilot, and her little son, who ideolizes him! She also requested that the plane her brother flies be in the background.